The Seeker is looking for any non-patent literature such as presentations, posters, proceedings, literature, proposals, reports; or patents or patent applications, etc. publicly disclosed prior to April 9, 2004 that provides evidence (e.g., experimental data) demonstrating insect morbidity or mortality (e.g., damage or death) from oral delivery (e.g., feeding) of double-stranded RNA (dsRNA) targeting an essential gene in Western corn rootworm (Diabrotica virgifera). References of greatest interest will provide or directly refer to experimental evidence (e.g. 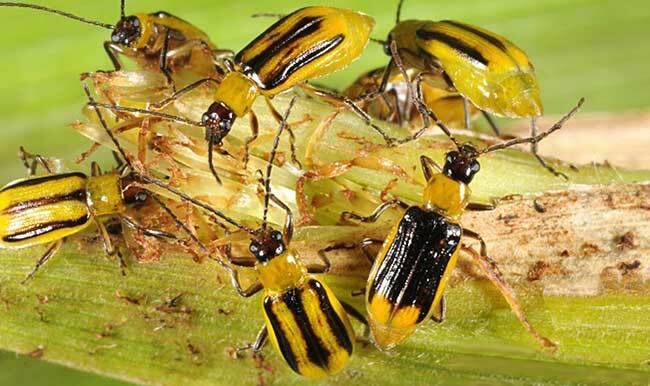 data) showing insect damage or death by feeding double-stranded RNA (dsRNA) targeting an essential gene in Western corn rootworm (Diabrotica virgifera). Any dsRNA molecule is of interest. Information of interest for partial award will describe the impact of RNA on other coleopteran insect (beetles) species.